We’re going to let you in on a little secret: Great Wedding Hairstyles with Headpiece can make or break your big day look. 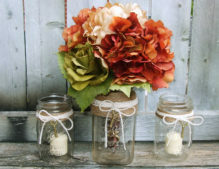 After you’ve put tons of thought into your wedding dress, your bridal makeup, your bouquet, and your accessories, why should your hair and hair accessories be the after thought? 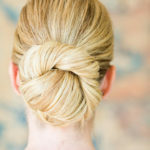 Sure, you’ve likely imagined that you’ll wear your hair back in a soft bun, down with loose curls, or in a sleek updo, but have you envisioned the final result? Just like the right jewelry puts the finishing touch on your wardrobe, the perfect hair accessory can entirely change your hairstyle. Upgrade soft curls from date night to wedding night with a gorgeous, eye-catching gilded hairclip. Transform your half-up ‘do with a unique headband or accent a simple bun with a glitzy clip. Whatever you do, know that these seemingly small accessories can make a seriously big impact on your style. 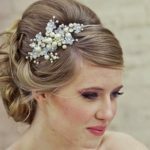 While there are countless aesthetic reasons to complete your wedding day hairstyle with a headpiece of some sort — be it a crown, headband, hair comb, or hairclip — there’s one practical reason that will certainly sway you toward one of these pretty hair embellishments. On top of being beautiful, they’ll also keep loose strands out of your face, which is something especially crucial for long-haired brides-to-be that are considering leaving their locks down. Flowing waves look great, but pushing your hair out of your face throughout the day certainly does not. 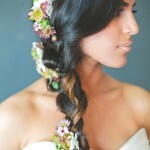 Scroll down and look these Stunning 20 Wedding Hairstyles with Headpiece.